The yellow routes on the map are the routes from the main line and Thameslink stations. Look out for the brown signs. From the front of King's Cross main line station follow York Way, alongside the station, and turn right into Wharfdale Road. There is a traffic island and traffic lights at the turnng. The turning is just past the end of the station buildings. New Wharf Road is the second turning on the left, off Wharfdale Road. From the Pentonville Road exit from the Underground turn left as you exit the station then turn right at the traffic lights. Follow Caledonian Road for a short distance but keep going straight on along Balfe Street when the main road turns slightly to the right. (just after a Tesco supermarket). Carry on to the end of Balfe Street (by a pub called Central Station) and turn right into Wharfdale Road, then left into New Wharf Road. Get your street names right. We are nowhere near Wharf Road, Eagle Wharf Road, North Wharf Road or any other similar sounding name. There is only one New Wharf Road in London. Don't miss the brown signs. They are all above head height so look up. 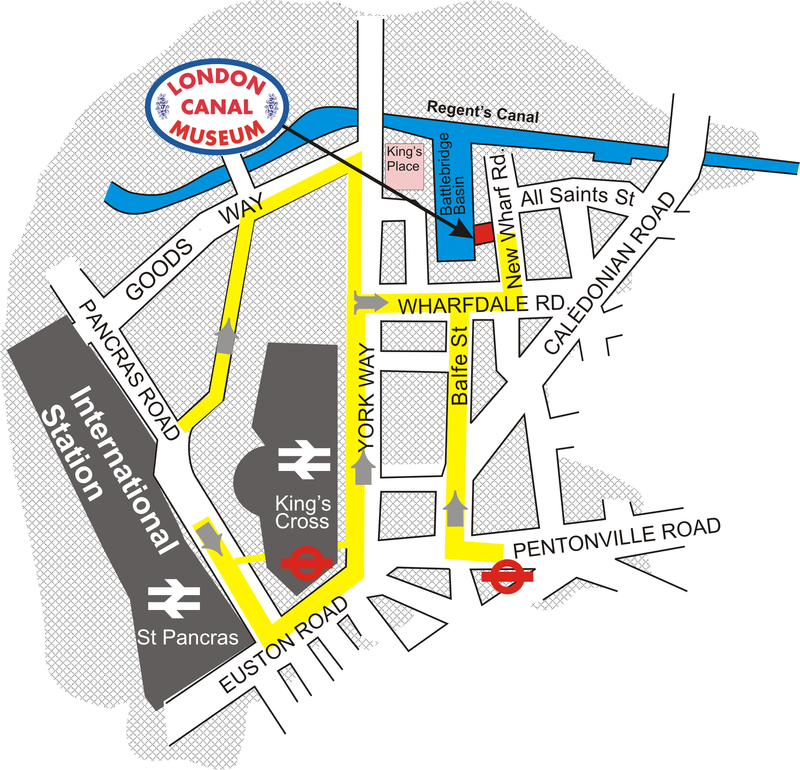 If you are walking from King's Cross station, and you come to a bridge over the canal, turn back.